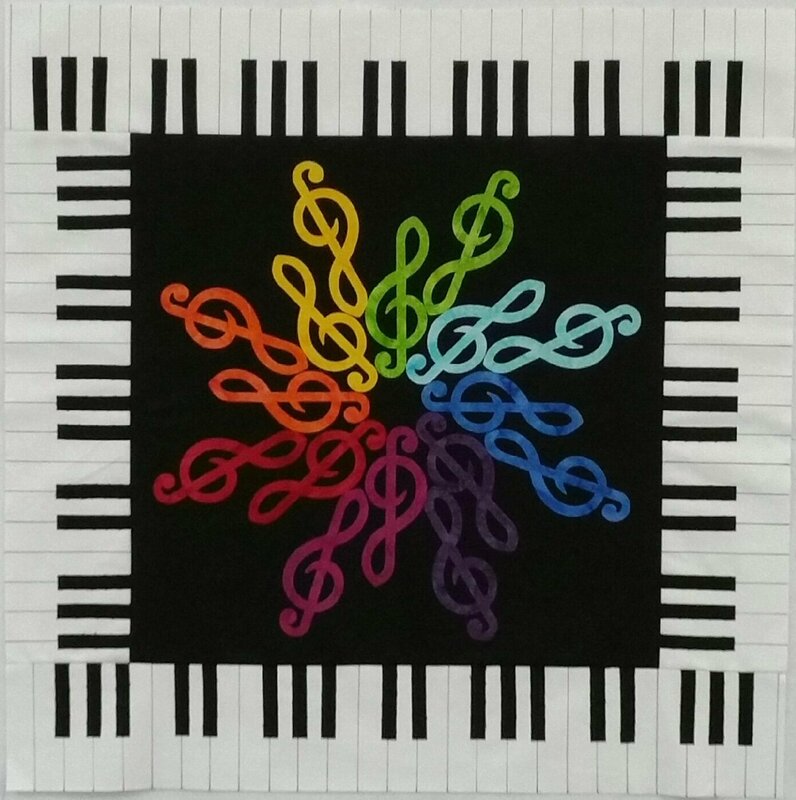 "Sew Musical" is the theme for Row by Row Experience 2018, and what can be more musical than a kaleidoscope of musical Treble Clef Signs? We selected the 18" x 18" size option this year to showcase our colorful and creative design, titled "Color My World". The kit and pattern are for the center section; the piano keyboard borders are optional. Per the Row by Row Experience rules, you must come in to pick up your pattern and purchase your kits. However, you can pre-order the kit online and we will send it to you on November 1!